Money raised from the special performance will go towards Harry's longtime charity Sentebale, which supports the mental health and wellbeing of young Africans affected by HIV.The glamorous newlyweds arrived at Victoria Palace Theatre, escorted by a police motorcade, just after 6.30pm local time for the show and were greeted by hundreds of adoring fans. 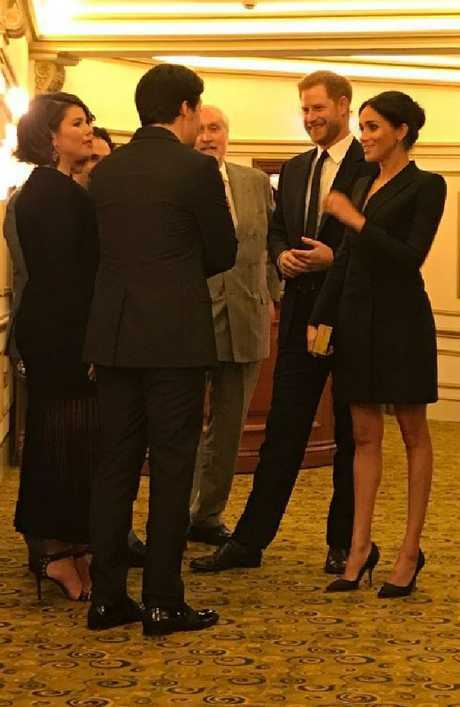 Harry wore a Navy suit and tie while his wife wore a £320 ($436) black Judith and Charles tuxedo dress, which was cut well above her knees and showed off her legs, and black high-heel shoes. "The evening will raise awareness and funds for Sentebale's work with children and young people affected by HIV in southern Africa," Kensington Palace said in a statement. representatives from Sentebale and Hamilton, including members of the cast and crew. 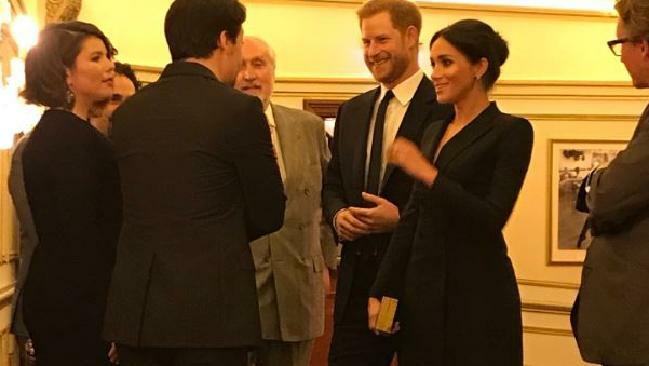 "At the conclusion of the show both The Duke of Sussex and Lin-Manuel Miranda, who wrote the show's book, music, and lyrics, will address the audience."